The village of Boussu is located west of the town of Mons off the N51. 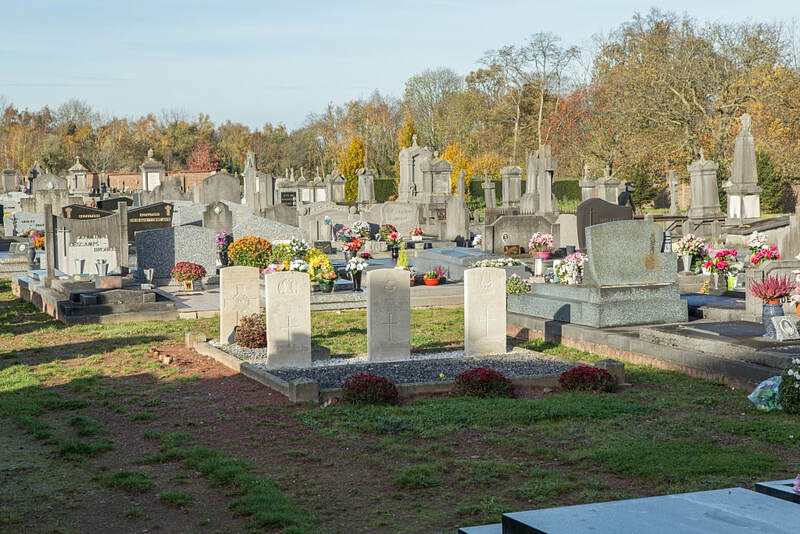 From the motorway E19/E42 turn off at junction 25 onto the N547 direction Boussu/Hornu. 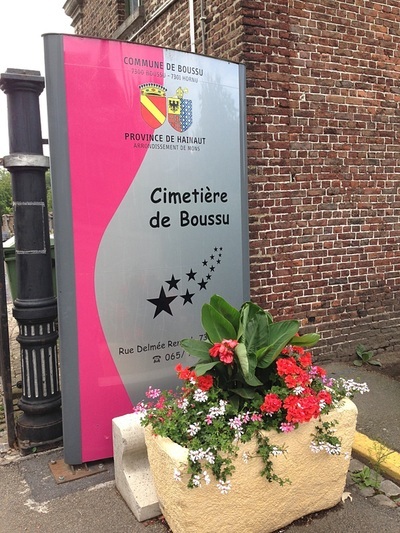 Follow the N547 to the junction with the N51 and turn right, follow through the village of Hornu towards Boussu. 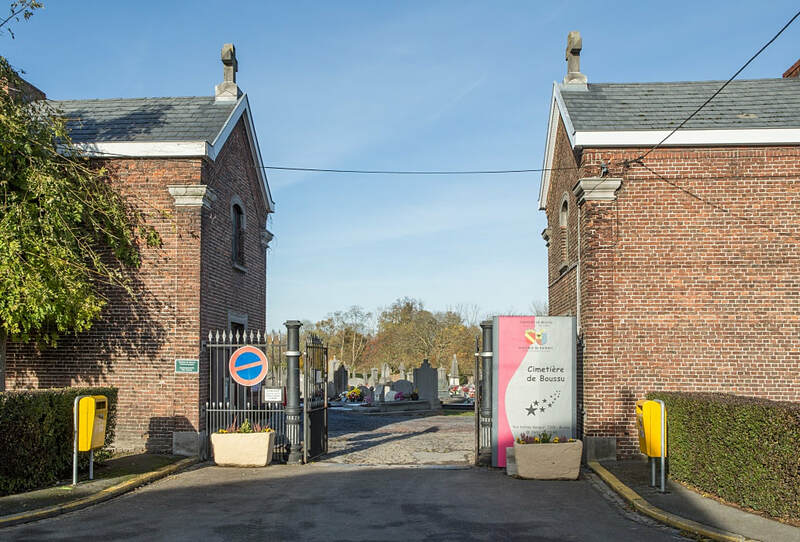 In the Grand Place of Boussu the road turns sharp left, after this turn take the second turning right and at the junction turn left, the cemetery is on the right. 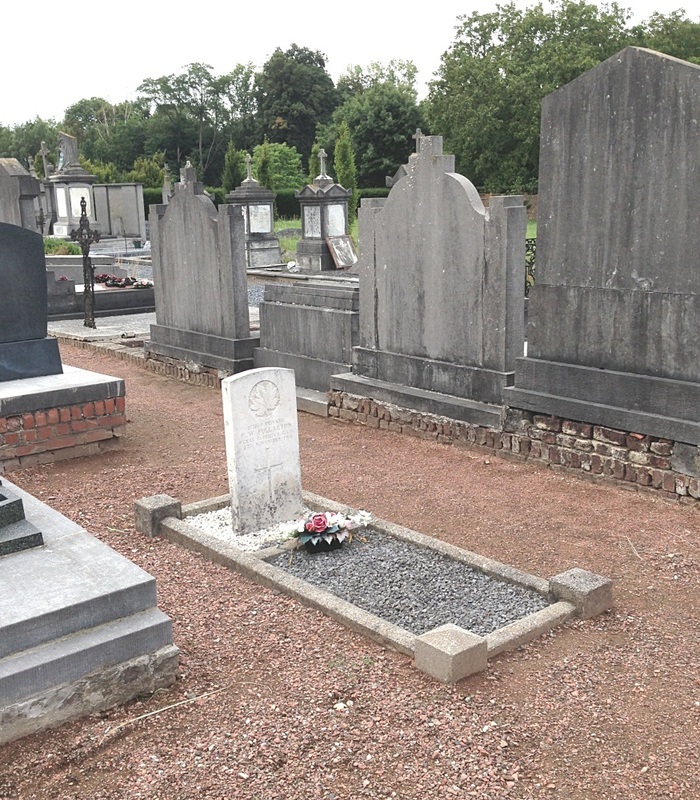 The graves are located in two different plots, a map is available in the cemetery folder. 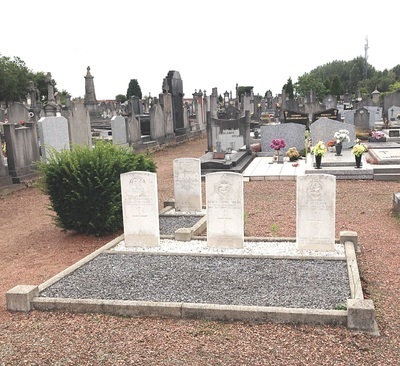 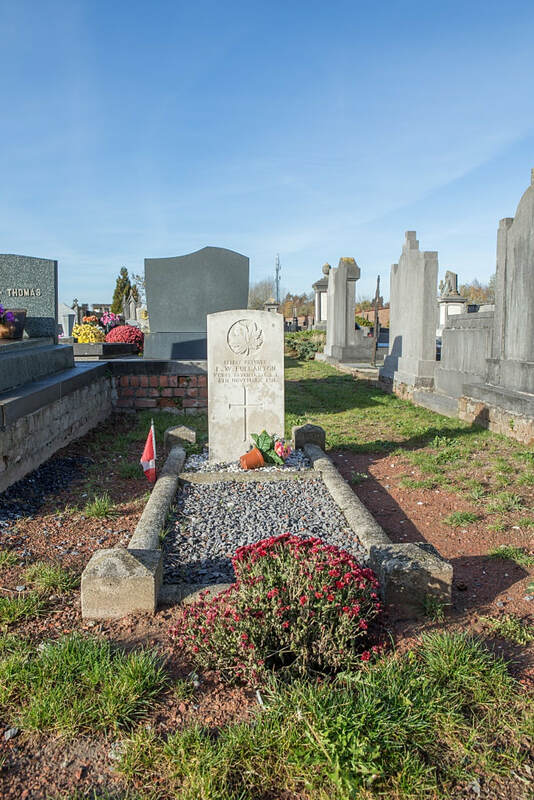 Boussu Communal Cemetery contains five Commonwealth burials of the First World War. No. of Identified Casualties: 5. 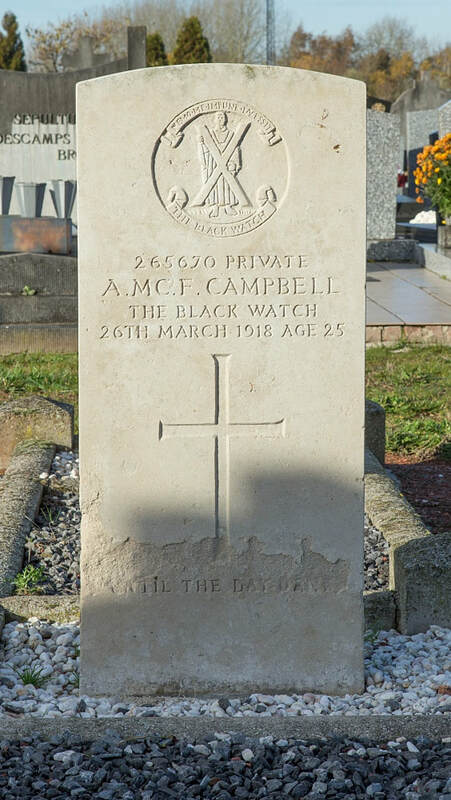 265670 Private Andrew McFarlane Campbell, 7th Bn. 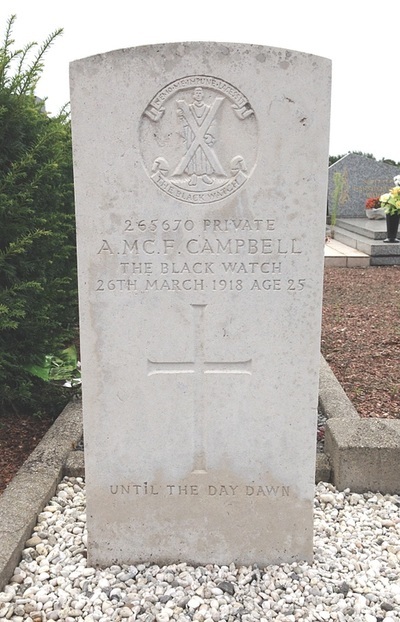 Black Watch (Royal Highlanders), died 26th March 1918, aged 25. Son of Alexander and Jessie Kayor Campbell, of Kippen, Stirlingshire. 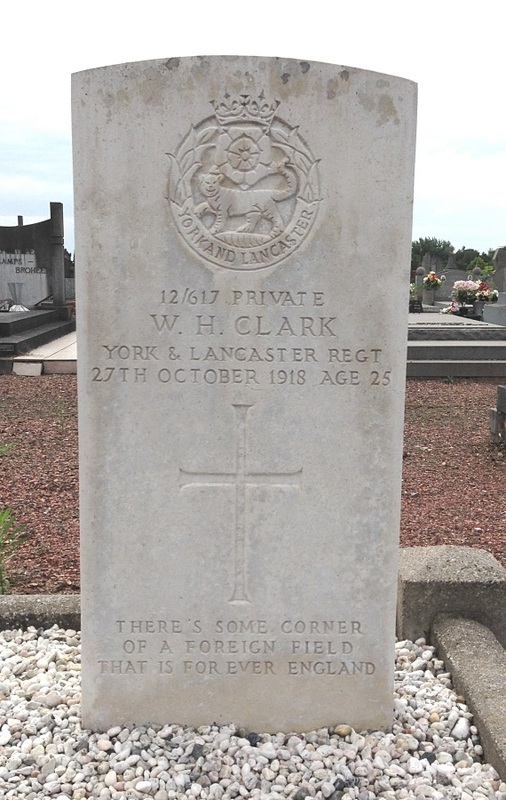 12/617 Private William Henry Clark, 1st/4th Bn. 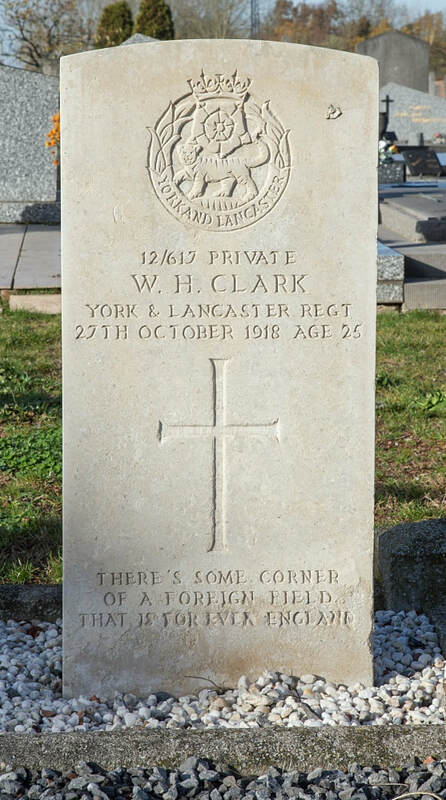 York and Lancaster Regiment, died 27th October 1918, aged 25. 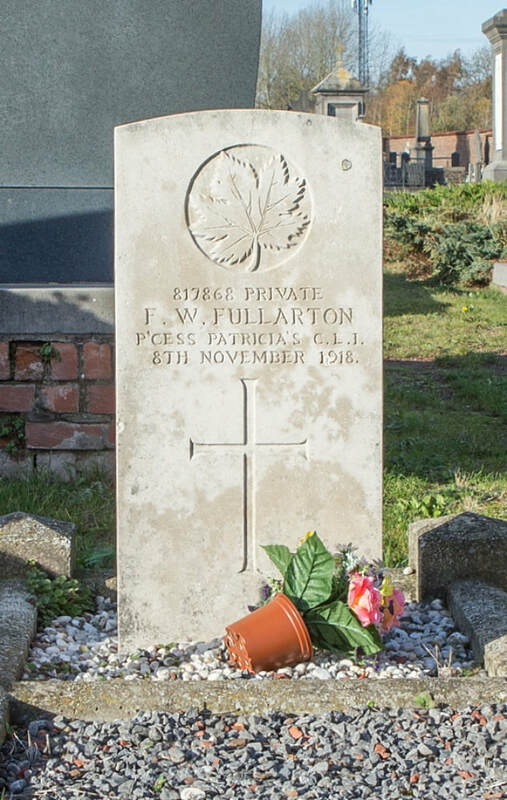 Son of Joseph Henry and Lydia Clark; husband of Winifred Clark, of 85, Argyle Rd., Meersbrook, Sheffield. 49819 Private Raymund Collins, 4th Bn. 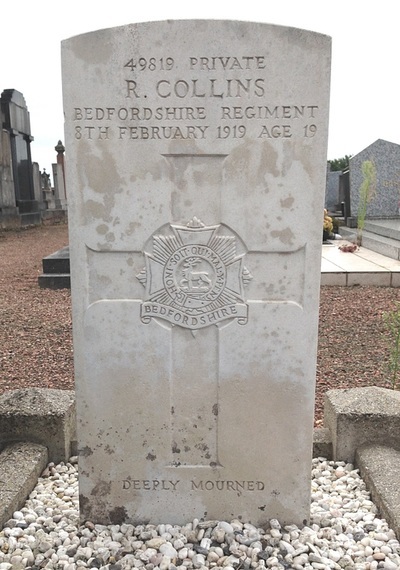 Bedfordshire Regiment, died 8th February 1919, aged 19. 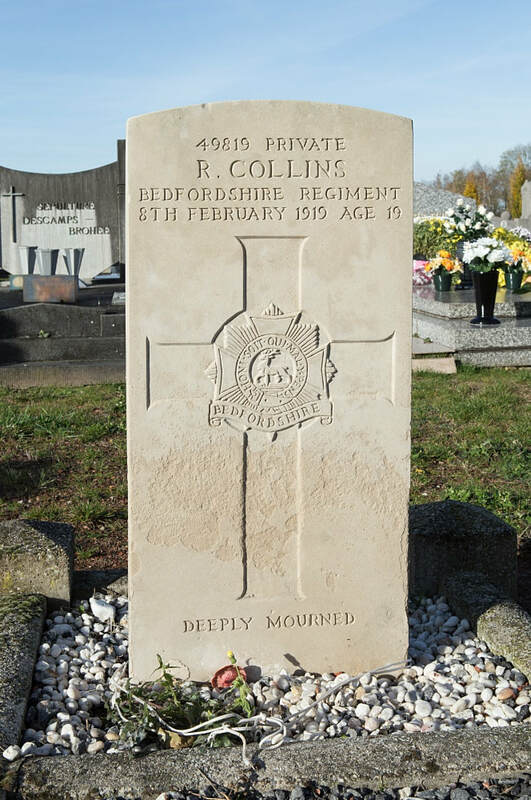 Son of Robert and Jane Collins, of Prospect House, Felixstowe, Suffolk. 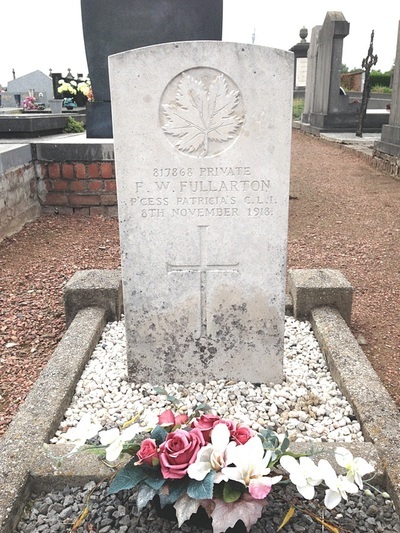 817868 Private F. W. Fullarton, Princess Patricia's Canadian Light Infantry (Eastern Ontario Regiment), died 8th November 1918. 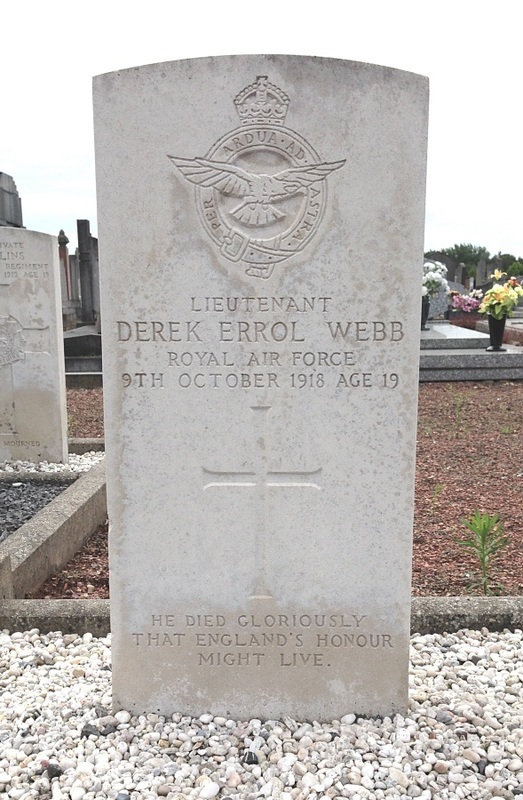 Lieutenant Derek Errol Webb, 107th Squadron, Royal Air Force, died 9th October 1918, aged 19. 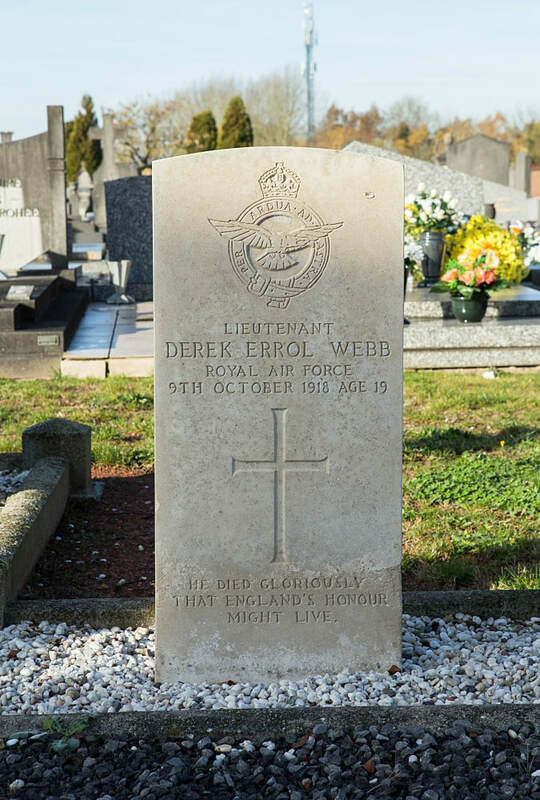 Son of Harolde and Florence Webb, of 12, Pallas Terrace, Eltham, Kent.